There’s no better way to view some of the world’s most stunningly beautiful destinations than from the top of a cruise ship. From majestic glaciers to white sandy beaches, stunning skyscrapers to historic ruins; sailing into a port often affords some of the most picturesque views of your holiday. Many beautiful destinations have hidden gems, often not reached by mainstream cruise ships. Luxury cruise ships are quite often much smaller than their mainstream counterparts, which means that your ship will be able to traverse deeper into incredible destinations, accessing ports which the larger cruise ships simply cannot reach. If you’d like to experience bucket-list worthy scenery during your next cruise, read on for our list of the five most beautiful luxury cruise destinations in the world. Top of our list is the breath-taking Norwegian Fjords. 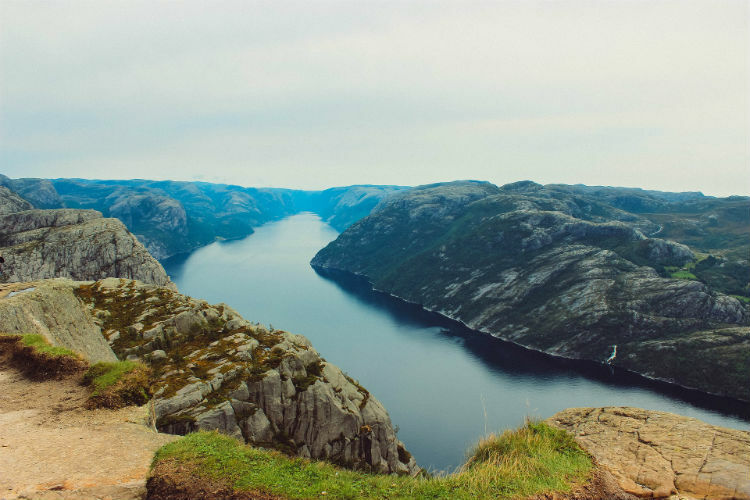 As one of the most popular destinations for cruises from the UK, the Norwegian Fjords are a simply stunning sight to behold and there’s no better way to experience the majesty of Norway than from the deck (or balcony) of a cruise ship. Norway is a country with a multitude of fjords, each with its own characteristics such as towering mountains, flowing waterfalls, small hamlets and traditional mountainside farms. It’s also not just the landscape that’s amazing – keep your eyes peeled and you may spot seals and whales playing in the sea! Sail far enough north in the summer and you’ll cross the Arctic Circle where you’ll be able to witness the incredible Midnight Sun. Here, the sun never dips below the horizon giving 24 hours of daylight during the summer months. Sail in the winter and you may be lucky enough to see Mother Nature’s very own light show – Aurora Borealis. The second destination on our list is French Polynesia. This beautiful corner of the world is situated in the South Pacific Ocean, halfway between the USA and Australia, and it is home to 118 islands and atolls spread over an area roughly the size of Europe. You’ll discover a host of beautiful cruise destinations in French Polynesia, with some of the most exquisite being Bora Bora, Tahiti and Moorea. One of the obvious advantages of choosing a luxury cruise over a land-based holiday, is that you can visit a different island each day – which French Polynesia is perfect for! 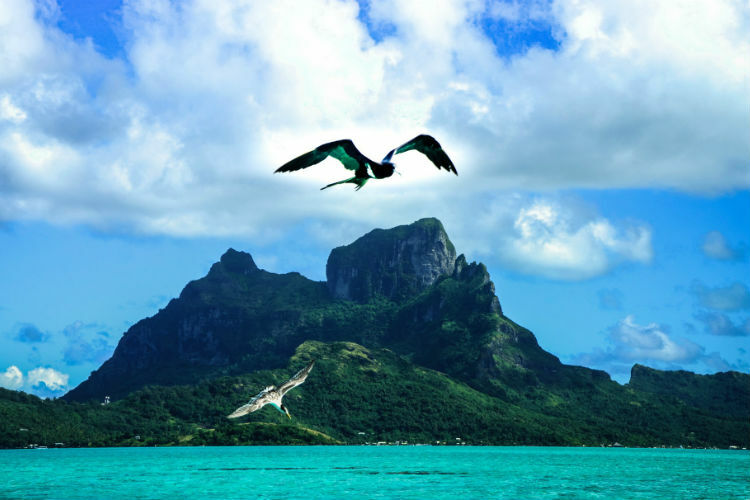 Bora Bora gained fame back in WWII when it was home to over 5,000 US troops who couldn’t wait to get home and tell their families about the island paradise they had discovered. We recommend paying a visit to Bora Bora Lagoon where you can swim with nurse sharks and feed stingrays or heading to Matira Beach for the most perfect combination of white sand and turquoise sea. Tahiti is another popular luxury cruise destination. But whilst most visitors stay in the capital of Papeete and explore the markets and sample local cuisine, the wise would either head off on a 4X4 drive deep into the lush Papenoo Valley or head to the black-sand coast which has tropical gardens and world-class surfing. Moorea, also known as ‘The Magical Island’ is a heart-shaped paradise. Spend the day lazing on the pristine beach, or to admire the true nature of this beautiful island, head off on a hike or take part in a spot of scuba diving. A luxury cruise is the perfect way to immerse yourself in the pure beauty of Alaska. Cruises to this region offer access to the most spectacular Alaskan sights, such as Glacier Bay National Park, Tracy Arm Fjord and the Kenai Fjords, without any of the hassle of driving over long distances. There’s nothing more remarkable than cruising along five-storey-high walls of ice where the sights are simply indescribable. The wildlife-watching opportunities in this part of the world are spectacular too, with opportunities to spot bears, whales and bald eagles. 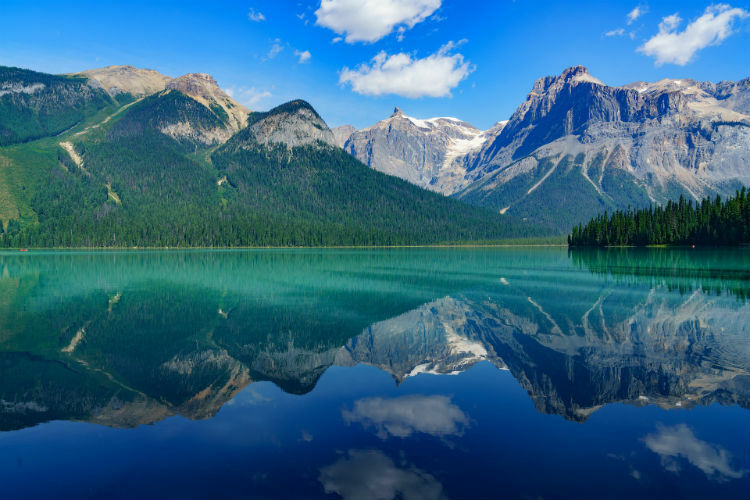 Alaska is vast and there’s so much to see that we recommend a cruise and stay holiday as the best way to make the most of your time here. A trip on the famous Rocky Mountaineer train is also highly recommended. The train travels for several days through the most stunning scenery, affording views of the surrounding forests, lakes and glaciers. 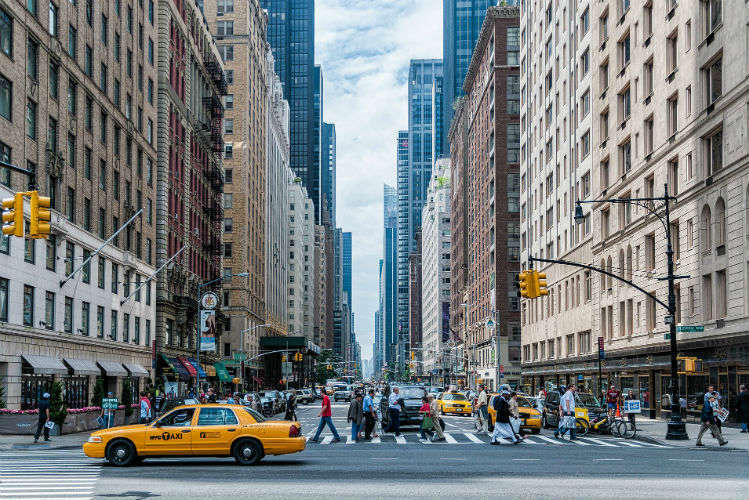 Number four on our list of the world’s most beautiful cruise destinations is New York, which may surprise you as it’s nothing like any of the destinations already mentioned. However, this glittering metropolis has a unique charm and stunning, albeit man-made, scenery. New York is the starting point for many a luxury cruise, either around the Caribbean or across the Atlantic Ocean, and there’s nothing quite like a sail away party with Lady Liberty as your companion. 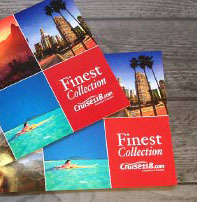 The region also makes an excellent cruise and stay destination. Whether you’ve visited once, or ten times, you can’t beat a trip up to the Top of the Rock to enjoy 360-degree views of the Big Apple with a glass of champagne at sunset. The final cruise destination on our list is Venice. Arriving by sea is by far the best way to start your exploration of this awe-inspiring historic city. As your ship makes its way through the Porto di Lido and into the Venetian Lagoon to the cruise terminal, you’ll pass stunning sights such as St Mark’s Square and the Bridge of Sighs. The mere existence of Venice is a wonder, especially when you consider that it is built on a series of mud flats that are prone to continual flooding. Not only that, the city has survived two world wars and being conquered by Napoleon, yet still continues to survive, and shine, with its truly amazing architecture. Everywhere you turn you’ll see beautiful palaces, canals, bridges and piazzas. 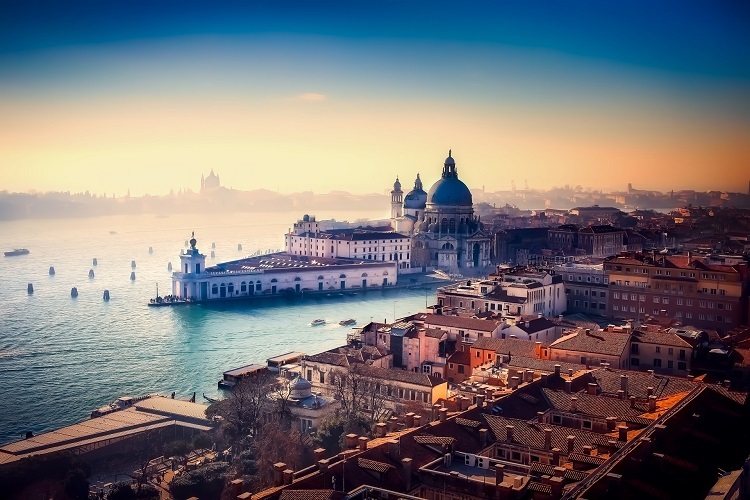 Venice is a place where land and sea come together like nowhere else on earth. If this article has given you wanderlust to visit some of these exciting destinations, take the chance to speak to our Cruise Concierge team for more information and the opportunity to book on-board. You can call us on0808 202 6105 for expert advice and award-winning customer service with your booking. Have you been to any of these destinations? Which is your favourite? Let us know in the comments below!